In all parts of the world, summer is almost synonymous with cooking outside, where almost every meat piece – fish, pork, mutton, meatballs and ribs, is cooked. In fact, it is during such time when almost everyone suddenly becomes a barbecue or grill guru. But doesn’t it sound funny and outright baffling is that lots of BBQ and grilled meat aficionados seeming can’t differentiate between Barbecuing and Grilling? Sure, it is absolutely undeniable that both terms are often used interchangeably, albeit each word’s verbatim meaning is pretty much unique from the other. BBQ-ing and grilling involve cooking meats outdoors, perhaps during the warm summer, and yield almost similar and tantalizing results. 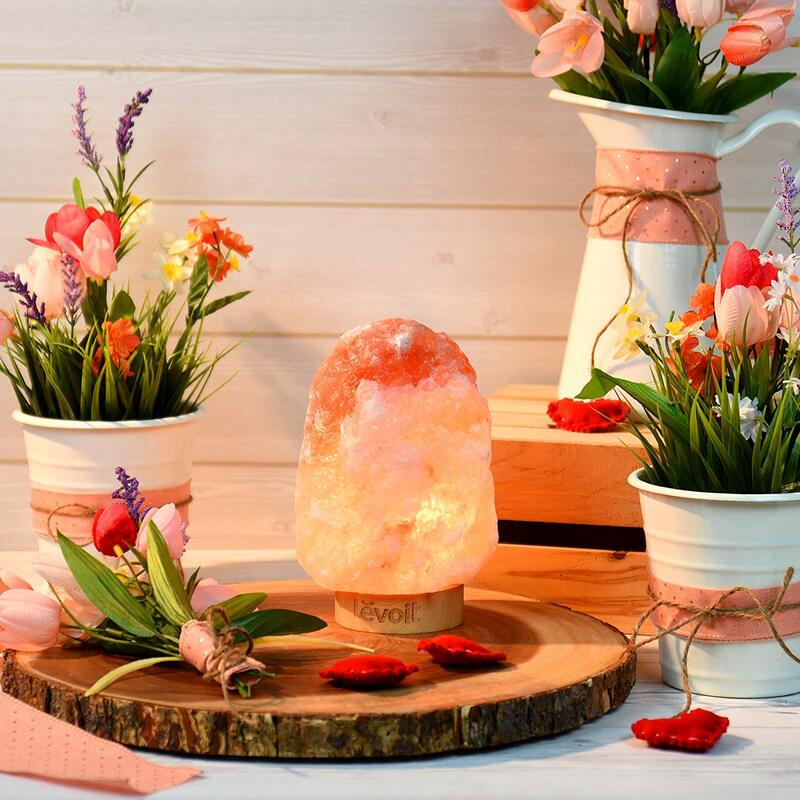 However, the former is actually different from the latter and more so because it always involves the use of various items and takes a bit shorter period. At its core, grilling is commonly considered the earliest form of all cooking techniques. It is probably true given that during the medieval times, all our ancestors could do was to light a fire and roast meat over it. And much like little has changed today, grilling largely remains a favorite way of cooking, especially because no much work is needed. 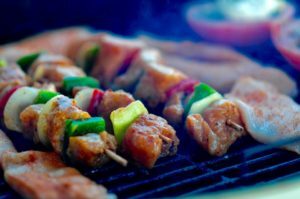 Grilling is hugely portrayed as the mother of barbecuing, and maybe it is true because BBQ derives a few of its main tricks from this form of cooking. Fundamentally, grilling is a method whereby one cooks the dish fast and over an open fire. 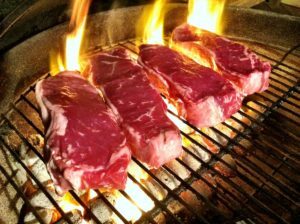 When grilling a piece of meat, the piece is placed over an open fire for a few (less than an hour) minutes before it ripens.
. Again, some particular vegan delicacies can be grilled before consumption. If grilling is considered a primitive form of cooking then how BBQ came to be termed as a poor man’s cooking repertoire is weird. Before the 1990s, many people would prefer to barbecue to feed a large number of individuals, and that’s probably where it all began. However, it is worth saying that barbecuing nowadays isn’t a poor man’s favorite way of cooking anymore. It is a low and slow, indirect method of cooking over a fire, which significantly differs from the “fast and over an open fire” technique. Pieces of meat being barbecued usually take over an hour (and perhaps two) to cook well. The extended period is partly because the coals or flame could be a bit far below the cooking meat or the piece stays on a single side during the entire BBQ-ing period. 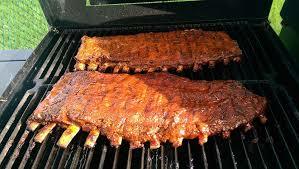 The most suitable meat bites to be barbecued include ribs, shoulder and steak, beef brisket, mutton, chicken and turkey and goat. Again, many people prefer to barbecue big and tough meat portions because, under the super-hot coal pieces, the most hardened tissues will gradually soften up. 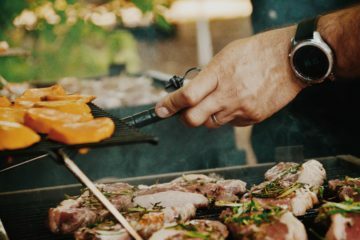 Though it is undeniable that Grilling, barbecuing and roasting – to some extent, have near-identical features, the differences are primarily what determines their fame and popularity. Indeed all of them need dry heat that’s applied to the food from the underside. But it is the intensity of the heat as well as the time necessary for the entire process that brings about the differences. Grilling – of course, the temperature is the most obvious differentiating factor between BBQ and Grilling. Via the high, direct heat technique, heat from the heated gas grill or the already-glowing charcoal radiate right below the cooking surface where the steak is placed. And, unless the meat pieces are flipped on repeatedly, it won’t cook evenly. Naturally, the steak above the heated coal will be gain its delicious flavors from the fat that drips off and generate the smoke that season the meat slightly. The entire piece might be ready a bit earlier depending on how hot the pit is and if the lid is closed. However, the temperature can be over 260 °C (500 °F). Barbecue – unlike grilling that requires high temperatures, BBQ is a method of using moderate temperatures. The meat is cooked indirectly with the BBQ pot’s lid closed and thus no need to regularly flip the meat. And that’s why the meat would take up to two hours to be ready; soft and tender. For the meat to be ready, the temperature of around 240–280 °F or 115–145 °C could be required. Different types of meat require varying levels of heat to cook well. Grilling is a technique that involves high temperatures and only suits reasonably sized pieces of soft and tender meats. 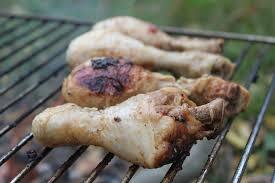 And so, the best meat lumps to be grilled include Chicken, Seafood, Turkeys, Steaks, and Chops. Barbecue is only ideal for large, tough, sinewy cuts because the entire period of cooking is long enough to soften the hardened tissue. In fact, the heart and soul of barbecuing meat is to make it soft. The best candidates for BBQ, therefore, include ribs, pork shoulder and brisket. Not only do the different cuts of meat need different heat temperatures, but they also require different time frames to cook well. And we all agree that grilled meats undergo high heat temperatures and that’s why they only take a few minutes to cook. As a matter of fact, grilled meat can be ready in less than 30 minutes or less because the little pieces are usually soft and tender. On the contrary, barbecue is all about indirect cooking and comparatively low heat, and that’s why for the meat to be ready, more than two hours would be needed. Tougher tissues like collagen may even require more time and higher temperature to unwind and disentangle well. If you try to use the grilling method, much of it will be served raw, which essentially means that “low and slow” method of cooking is reasonable. Both grilled and barbecued slices of meat are tantalizing when they are cooked well. But the reason for the delicious taste and aroma are the Smokey flavors, although the smell does differ. Grilling doesn’t produce any significant amount of smoke, although the little produced is enough to give the meat a perfect seasoning and taste. There’s a different and hybrid grilling method that is often smokey, but the final dish is worth the little amount of smoke. 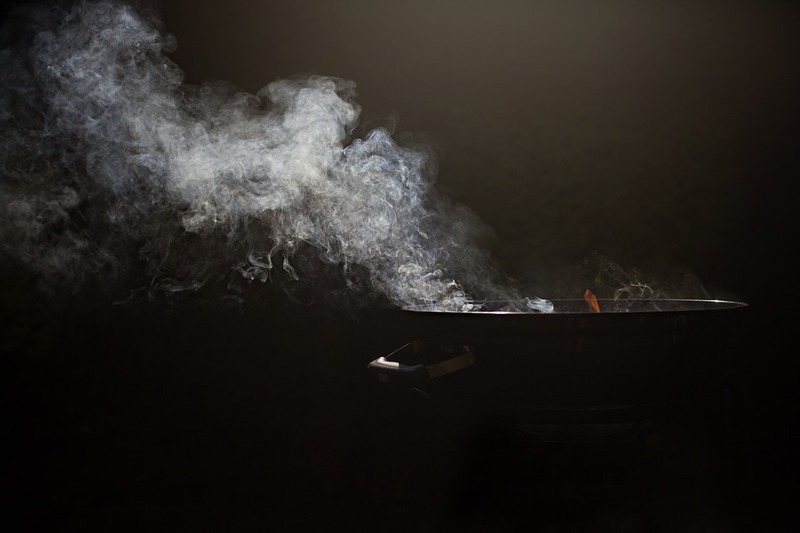 BBQ and smoke go together, not just because the whole cooking process takes a far much longer period, but also because of the wood chips and chunks used in the kitchen. To produce a flavorful smoke, low and constant heat is required. Both methods of cooking indeed differ, mainly on how the cooking process is done and the amount of heat needed. But being in a world where lifestyle ills associated with foods are on the rise, it is worth considering both grilling and barbecue as the best alternatives to cooking with oil and fat. As you grill the meat, the little dripping fats and juices not only help season and bring that savory taste. They also contribute to drying the food and thus making it healthy. Barbecued meat also gets dryer, but with a bit more flavors than those of the grilled one. However, both slices should be healthy and tasty in the long run. Grilling is all about charring the surface of the meat, letting the juices off and serving a smoky caramelized crust. 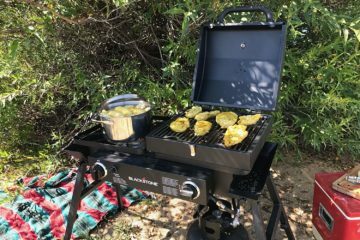 Common types of grilling include charcoal grilling and gas grilling, although, for the moneyed individuals, infrared grills can also have the job done. 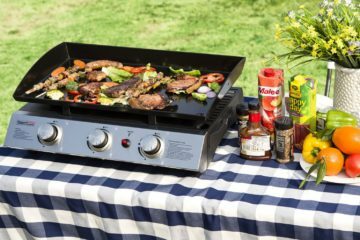 But primarily, the equipment for grilling includes a grill, a grill pan, a gridiron, or maybe a griddle. A good barbecue takes longer, and when it ripens, the meat can fall off the born. The process is low and slow, and that is because of the equipment. You would need a barbecue grill and large bricks or metal ovens so that they can withstand the long duration of cooking. There should be a lid so that the cooking meat is covered and given an ample time to cook. In the modern culture, both activities come in handy during the warm summer season when one is yearning for a bite. But their differences still trickle down to their respective purposes. 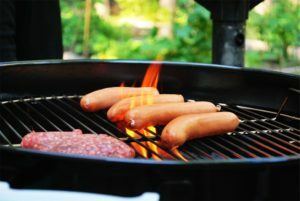 Grilling is usually the quickest method of cooking, and that’s why soft slices of meats are used. The direct radiant heat cooks up the pieces quickly, and within no time, the dish could be ready. Barbecuing, on the other hand, suits those who need a much tastier and appetizing meat. 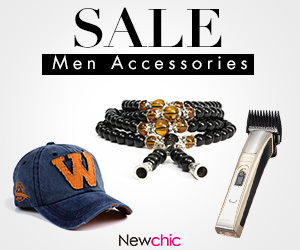 The slow heat suits large chunks of meat, unlike the little and soft pieces commonly grilled. Mostly, when you need to cook a huge piece of meat and use as little heat as possible, barbecue can be the best option. As much as the two methods of cooking significantly differ, their differences extend down to their individual disadvantages as well. For instance, grilling that’s widely revered as the best way of cooking soft and tender meat doesn’t constitute healthy cooking. High temperatures involved in their cooking also make the meat portions carcinogenic. However, marinating it does help combat the formation of the carcinogenic compounds. Barbecuing needs lots of energy and also consumes a lot of time to be ready. It requires marination too.